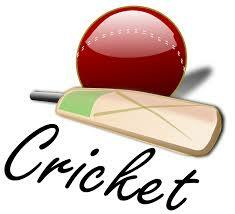 Over the past few weeks Clockhouse have entered both their boys and girls sides into the Havering Cricket Tournaments. First up was the boys, with minimal experience in the side the boys managed to reach the quarter finals loosing to a very experienced Oakfield's side made up of hard ball cricketers. On route to the quarter-finals Clockhouse played some great cricket beating St Edwards with a score of 212 for 6 compared to St Edwards posting 206 for 7, Harold Court managed a total of 237 for 5 but were also beaten by the Clockhouse boys who pitched an impressive 265 for 1. Clockhouse the faced Newtons and batted well to win with a score of 288 for 1 compared to 238 for 1 an impressive margin of victory. Clockhouse's final opponent was Elm Park who scored 241 for 4 but were again beaten by a strong Clockhouse batting performance with a score of 275 for 2. A great achievement considering the boys had minimal practice in preparation for the event. The girls were next up to represent the school and just like the boys they managed to win their group stages a close up encounter with Nelmes, Clockhouse girls winning by 9 runs after some final ball dramatics. Clockhouse then outscored Langtons by 26 runs to win. Clockhouse then scored 291 without a lost wicket to beat Branfil. Clockhouse again batted well in their final group game posting a score of 288 again without loss to beat St Marys who scored just 223 for 5. In the semi-final Clockhouse met Engayne who are a well established cricket school. A great game finished with Clockhouse winning by 18 runs, both teams only loosing one wicket. In the final Clockhouse met a well drilled James Oglethorpe side who were devastating with the bat and despite some great fielding efforts Clockhouse finished runners up. Despite being a runner up Clockhouse go on to represent Havering at the London Youth Games. The school will represent the whole of Havering at the London Youth Games event in Richmond tomorrow. WELL DONE TEAM CLOCKHOUSE!